GE Aviation says it will expand its Auburn plant and add jobs. MONTGOMERY, AL (WSFA) - GE Aviation is planning to invest $50 million toward the expansion of its manufacturing operation at its Auburn facility, according to Gov. Kay Ivey’s office. The investment, announced Wednesday, is expected to boost the company’s 3-D printing technologies and create 60 jobs. According to the governor’s office, additive manufacturing creates materials from a file that uses lasers and fine metal power. It is said to reduce waste and improves production rates. Auburn’s GE Aviation facility was the first site to produce a jet engine using 3-D printing. The expansion will allow the facility to begin mass production of a bracket for the GEnx-2B engine program. 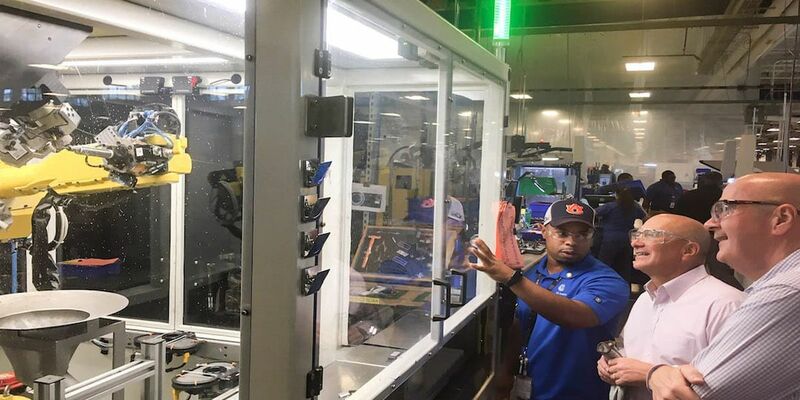 This will be Auburn’s second investment in four years toward additive manufacturing technologies. In 2015 GE invested $100 million to mass produce a fuel nozzle tip for the LEAP jet engine. To date, it’s made more than 30,000 of the units. The Auburn facility currently employs 230 people and predicts their employment will increase to 300 this year. The company opened a $200 million factory complex in Huntsville in 2018. The news comes on the same day as two other manufacturing companies, both located in nearby Opelika, announced expansion plans of their own.